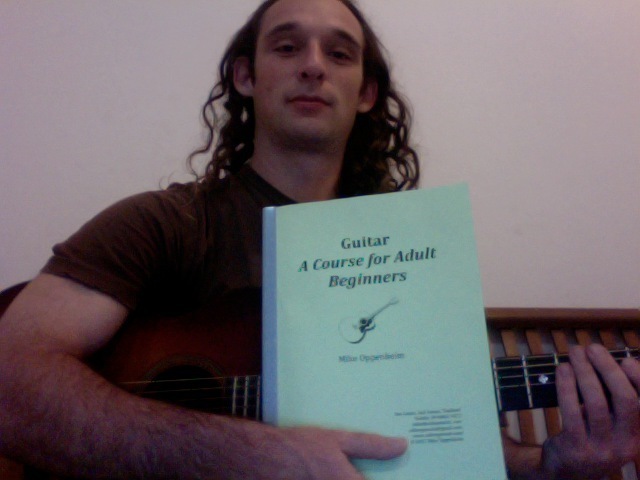 I just finished printing my new book Guitar: A Course for Adult Beginners. The content is related to that found in my Beginner Guitar Series. However, the book is more focused as a workbook/songbook, emphasizing the methods for building a basic vocabulary and variations of chords, strumming techniques, and rhythms for beginning guitarists. View the front and back covers, and table of contents here: Guitar: A Course for Adults. This entry was posted in Music Lessons, Pedagogy, Products and tagged Americana, Bluegrass, Guitar, Music lessons, Old-time, Pedagogy, Products. Bookmark the permalink.